Nokia’s launching 5 Low Cost mobile phone!!! Close on the heels of Nokia launching a slew of smartphones in the high and mid-range segment, the company has now launched a bevy of low-end models. Targeted at the users in emerging markets, the new launch series includes Nokia 1280, cheapest phone from Nokia's stable so far. The phone is almost 20% cheaper than it’s previous cheapest, the 1202. With Apple and RIM gnawing Nokia's share in the high-end market, seems Nokia wants to tightly guard its share across other segments by constantly refreshing the line-up. Here's looking into Nokia's 5-new additions in the low-end segment. Nokia's low-end 1280 can store upto 500 contacts. It packs FM-radio with a standard 3.5 millimeter stereo headphone jack. It also has five separate phone books. 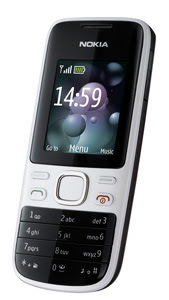 Among key features, Nokia 1280 packs FM radio, prepaid tracker, flashlight, anti-scratch cover and dust-resistant keymat. The phone will also support Nokia Life Tools and will be launched by December 2009. The handset will come for 20 euros (Rs 1380 approx). Weighing mere 79 grams, Nokia 1616 sports a sleeker design and has a dust resistant keypad. Measuring 1.8", the phone has TFT display. The phone features a flashlight, an FM radio, MP3 grade ringtones, a speakerphone and multiple phonebooks. The phone's battery supports up to 8.5 hours talktime and 22 days standby time. According to Nokia the phone will be available during Q1 (2010) with black, blue, gray and red interchangeable covers. 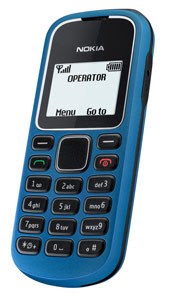 Nokia 1616 will sell for 24 euros (Rs 1656 approx). Nokia 1800 sports similar specifications to Nokia 16161, including the screen size and battery life. However, Nokia 1800 comes with a wired headset in the box, which is ideal for use of built-in FM radio. The phone offers prepaid tracker, flashlight, anti-scratch cover and dust-resistant keymat among other features. According to Nokia the phone will be available in grey, red, blue and black changeable covers and will be priced at 26 euros (Rs 1794 approx). Nokia 2220 supports email on the device through Ovi Mail. Other features include FM radio, VGA camera, GPRS and MMS support, phone books for up to 1,000 contacts and Bluetooth. Standby time is about 20 days. The phone will be available in pink, graphite, turquoise, silver, purple and blue colour schemes. Nokia 2220 slide is priced at 45 euros (Rs3105 approx). Nokia 2690 also offers support for email on the device through Ovi Mail. Among key features, the phone packs FM radio, VGA camera, GPRS, Bluetooth and MMS support. The phone book supports up to 1,000 contacts. The device has a standby time of approximately 13 days and is priced at around 54 euros (Rs 3726 approx).